Nothing quite says passenger comfort on the road like a stretched limousine. Delivering unmatched luxury comfort for rear seat passengers when travelling on four wheels, the stretched vehicle experience is guaranteed to have onlookers guessing who is riding inside. A unique component to high-end living, premium car builders have historically left the creation of stretched limousines to other companies. 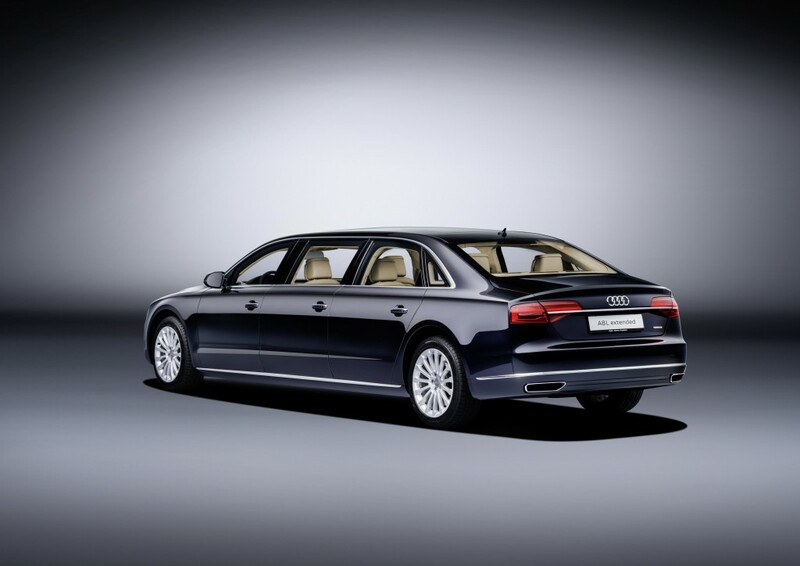 Pledging to place their own stamp on boundless luxury, Audi has created a rare Extended version of their Audi A8 L sedan. At first, the Audi A8 L Extended looks like a late April fools prank. In contrary to thoughts of this being some sort of deception, vehicle truly exists. 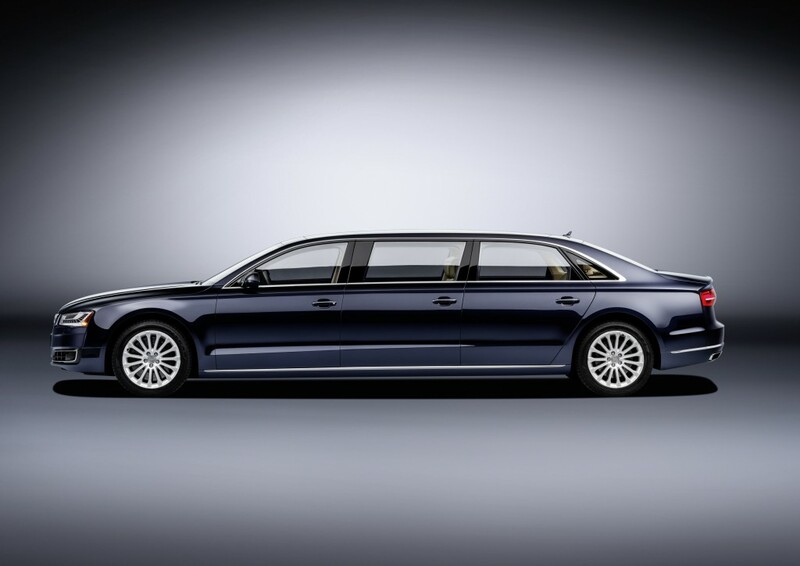 Measuring 6.36 meters (20.9 feet) in length, the special order Audi A8 L Extended model is the first such creation by the auto company. The 13.8-foot wheelbase of the stretched sedan is 3.6 feet longer than the traditional A8 L made possible largely due to a frame involving extruded aluminum segments. 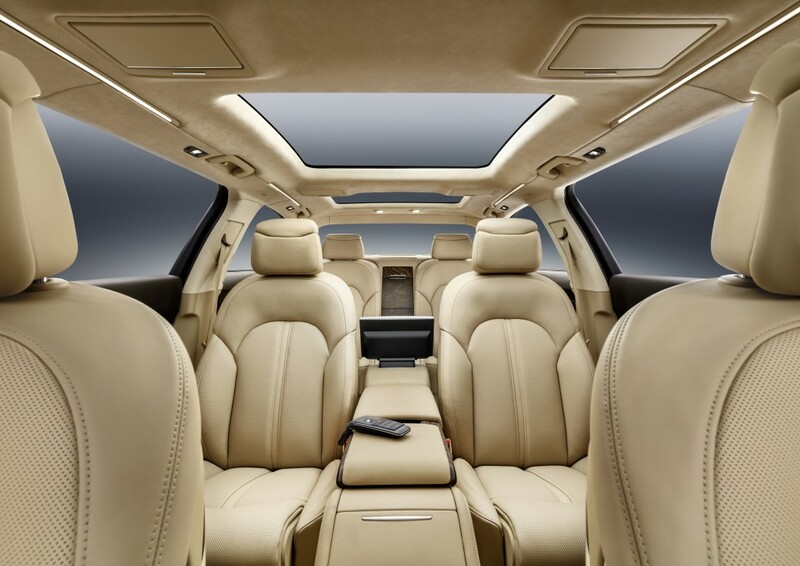 A long glass roof is also found on the Audi A8 L Extended flooding natural light throughout the enlarged cabin area. Propelling the long length Audi sedan, a 310-horsepower 3.0 TFSI engine is paired with an eight-speed tiptronic gearbox and a quattro permanent all-wheel drive system. Audi’s work in creating the A8 L Extended model required more than simply adding extra sheet-metal to their flagship sedan. According to the automaker, the body shape beyond the windshield’s A-pillar was re-engineered. The Audi A8 L Extended wears unique markers near the headlights and taillights to meet road legality requirements for the large vehicle. 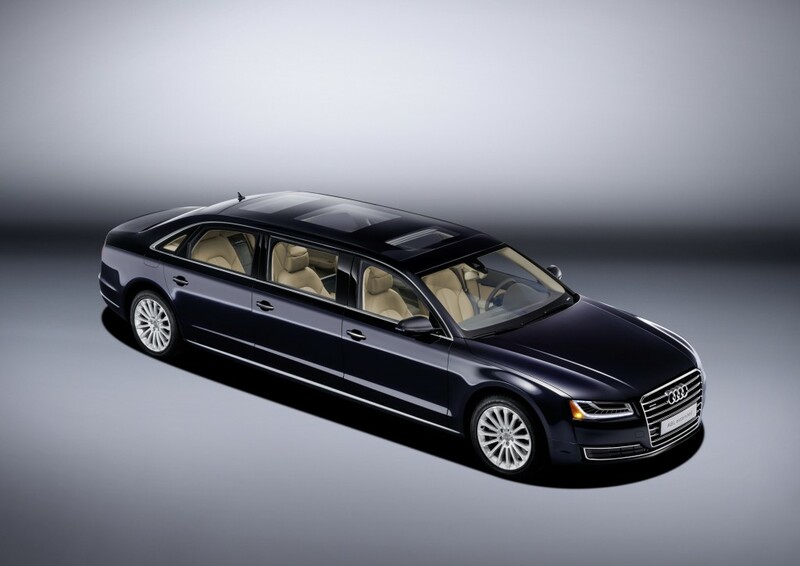 The Audi A8 L Extended model features entry doors for each of the six occupants. Incorporating three rows of forward-facing seats, the rear occupants ride executive style comfort with two passengers per row. Both rear rows of passengers are equipped with electrically-adjustable seating and separate controls for the roof sun blinds. Each row of the Audi A8 L Extended sedan’s interior is finished with Valcona leather upholstery. The third-row section inside the vehicle is offered the use of a Rear Seat Entertainment system as well as a cool box. The client of the one-off vehicle has not been named but is said to be within Europe. 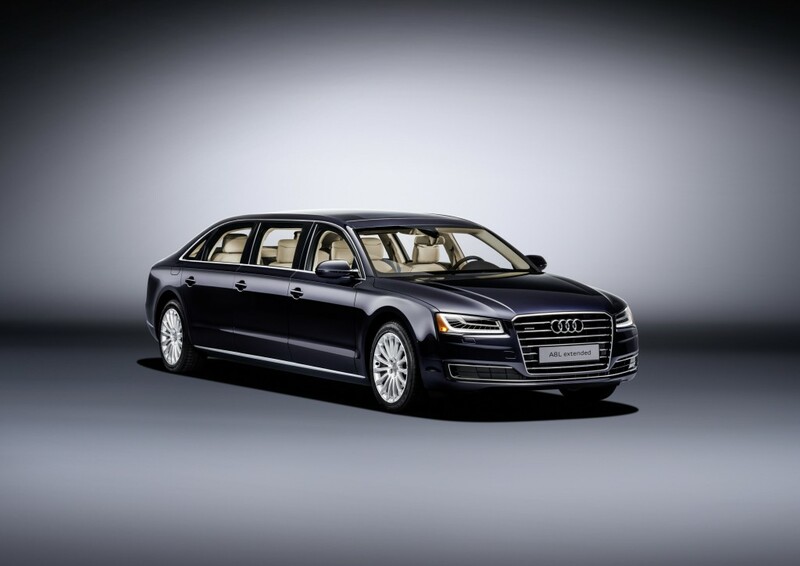 With the presence and construction of a vehicle like the Audi A8 L Extended model, we are made aware of the extra lengths premium brands are able to go to in helping high bankroll customers. Whenever someone purchases a vehicle from marques like Bentley, Rolls-Royce or Aston Martin, factory tailoring and modifications can be near limitless. Exterior color, interior materials and even certain vehicle features can be added as bespoke items. Specifically with Audi last year, their A8 L Security model with hot-formed steel armor and aramide fabric was unveiled at the Frankfurt International Motor Show. The VR 9 ballistic protection-certified Audi A8 L Security and the A8 L Extended point out how deeply a modern luxury car company will devote itself to internal customization. Are you an Audi fan? Check out some of the coolest custom Audis HERE.